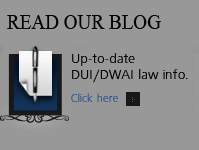 The Colorado Interlock program has helped many persons ultimately convicted of Colorado DUI – DWAI to continue to drive during the period of their DMV suspensions. But problems do arise – this article addresses some of those issues. Any offender who operates a vehicle that is not equipped with an IID, or who attempts to circumvent the device, will be subject to additional legal action including the revocation of driving privileges for a period of one year. Under Coloado Law for a first DUI offense with a BAC .08 or over- the offender’s license is revoked for 9 months, with an option after 1 month, to install an ignition interlock device and receive a limited license. But a person with greater than BAC of 0.17 is classified as a “persistent drunk driver” and must use an ignition interlock for at least 1 year. An habitual offender offense with a previous alcohol driving offense conviction of any type within a 5-year period, must install ignition interlock device on the vehicles that person drives and is required to hold a restricted license for at least 1 year prior to full license reinstatement. To confront the first method, Colorado Interlock vendors have worked to make the devices and all related wiring tamper-resist, including such measures as hardwiring the devices, placing tamper-proof seals over key electronic connections, and instructing installers to not permit the participants to witness any of the installation or wiring. To confront the second method, Colorado Interlock vendors have designed the devices to require a learned breathing pattern to produce a valid breath sample. This breathing pattern is taught at the time of the installation and is difficult for an inexperienced person to replicate, and must be provided at a certain temperature and sometimes with an accompanying tone as a further check against circumvention. In other states – vendors have also brought to market interlock devices with cameras that record a photo of the person providing the breath sample, further proving the source of the sample. The Colorado Driver Control unit employees analyze “logger files” to see if they contain sufficient information for a fail. One frequent challenge arises from different perceptions that the State and the vendors have regarding the definition of a fail. Driver Control staff members inspect the logger file data carefully to ascertain the nature of reported fails before deeming them program violations. Once a set of three fails has been deemed a program violation, the participant is sent a violation notice informing him or her of the incidents. 2. Challenge the fails and request a hearing officer review and ruling. 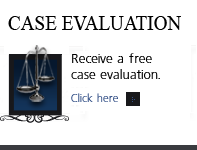 The task of determining which cases are eligible for a hearing is currently performed by the Colorado Driver Control staff (previously the Colorado Hearings Division staff did this work). The process involves specialized skills to review 50 to 75 pages of logger files to find and carefully analyze for the three fails. Hearings on these issues are typically scheduled approximately one month in advance. The hearing scheduling staff is provided with periodic customer service support training to help manage frequent issues presented by the participants, ranging from lengthy explanations of what caused the fails, to requests to be excused from the requirement, to calling back searching for a “better answer” from a different staff member. Hearing officers receive a copy of the logger file data before the hearing and discuss the content of the report with the participant. At the end of the hearing, the participant is informed of the final ruling on each of the three fails. With technological advances, it is becoming increasingly difficult for participants to operate the vehicle without providing a valid breath sample. However, even with numerous design, installation, and monitoring improvements, some interlock participants still attempt to circumvent the device in order to operate the vehicle while intoxicated. If a driver has “lockouts” in three or more months over a one year period of time, the requirement to carry interlock may be extended by up to an additional year. By statute, a lockout is defined as any instance where alcohol is detected over 0.025 and prevents the vehicle from starting up. Some interlock companies may also use the terminology “lockout,” but this is not the same as the legal definition under the interlock law. You are permitted to request a hearing and obtain copies of the lockout reports in advance by calling the Colorado Hearings Division at 303-205-5606. At the scheduled hearing, the Colorado Administrative Hearing Officer reviews your record and reports with you and make a decision regarding whether you will be required to extend your interlock obligation, and if so, for how long. You will not face additional suspension if you timely request a hearing and comply with the Hearing Officer’s decision. If you do not wish to request a hearing, contact your interlock provider to arrange for a 1 year extension of your interlock lease. Again, if you timely arrange for this, you will not face further suspension. However, if you do file for the one year extension, you waive your right to a hearing. If your license goes under suspension, you may not drive until you reinstate. There are no driving privileges that can be granted by the Hearings Division while under this type of action. The Hearings Division cannot handle complaints regarding interlock devices. If you wish to file a complaint, you may consider contacting the Governor Advocate’s office. Vendors in Colorado are required to conduct a comprehensive physical inspection of the installation at each monitoring visit to look for any evidence of tampering. Tampering/circumvention is required to be reported within 72 hours. The Driver Control Unit staff receives reports from the vendors flagging suspicious circumstances attempts. After reviewing the tampering comments section posted by the vendor and speaking with the vendor for any necessary clarifications, the State can initiate the restraint process immediately. Here – there was a failed retest while the engine was running and a passing test was not provided before the engine was turned off. This is supposed to indicate alcohol was present on the user’s breath while the vehicle was running. These disconnects may indicate tampering unless they were done while the vehicle was in for repair. The monitoring authority requests a copy of any vehicle service receipt from the client on the disconnects of several hours or more before determining if a violation occurred. 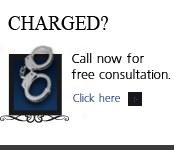 It is a known fact that ignition interlock devices produce false positive readings. These false readings unjustly prevent the driver from operating the vehicle, and can result in extremely harsh consequences. False positives have occurred due to baked goods, protein bars containing sugar alcohol, cinnamon, mouthwash, and cigarette smoke. These substances may appear as alcohol to some interlock devices. 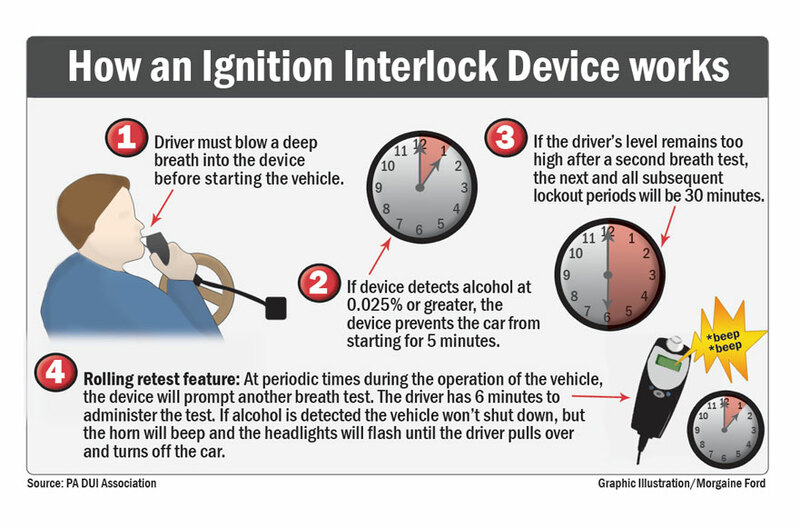 To prevent circumvention, some ignition interlock devices require the driver to hum and blow at the same time the sample is given; some drivers have difficulty doing this. Failing to provide a breath sample when requested can result in a interlock violation. Once an interlock device is installed a vehicle, all of the other household members who drive that vehicle will have to contend with using the interlock. Interlock violations can result in very serious consequence, often imposed based on unreliable alcohol results. (6) Interlock monitoring device – reports. The leasing agency for any approved ignition interlock device shall provide monthly monitoring reports for the device to the department to monitor compliance with the provisions of this section. The leasing agency shall check the device at least once every sixty days to ensure that the device is operating and that there has been no tampering with the device. If the leasing agency detects that there has been tampering with the device, the leasing agency shall notify the department of that fact within five days of the detection. (7) Licensing sanctions for violating the interlock restrictions. (a) Due to circumvention – conviction. Upon receipt of notice of a conviction under subsection (10) of this section, the department shall revoke any interlock-restricted license issued to the convicted person pursuant to this section. The department shall not reinstate the interlock-restricted license for a period of one year or the remaining period of license restraint imposed prior to the issuance of an interlock-restricted license pursuant to this section, whichever is longer. A person is entitled to a hearing on the question of whether the revocation is sustained and the calculation of the length of the ineligibility. (b) Due to circumvention – administrative record. Upon receipt of an administrative record other than a notice of a conviction described in paragraph (a) of this subsection (7) establishing that a person who is subject to the restrictions of this section has operated a motor vehicle without an approved ignition interlock device or has circumvented or attempted to circumvent the proper use of an approved ignition interlock device, the department may revoke any license issued to the person pursuant to this section and not reinstate the license for a period of one year or the remaining period of license restraint imposed prior to the issuance of an interlock-restricted license pursuant to this section, whichever is longer. A person is entitled to a hearing on the question of whether the license should be revoked and the calculation of the length of the ineligibility. (c) Due to a lease violation. If a lease for an approved ignition interlock device is terminated for any reason before the period of the interlock restriction expires and the licensee provides no other such lease, the department shall notify the licensee that the department shall suspend the license until the licensee enters into a new signed lease agreement for the remaining period of the interlock restriction. (d) Extending the interlock license restriction. If the monthly monitoring reports required by subsection (6) of this section show that the approved ignition interlock device interrupted or prevented the normal operation of the vehicle due to excessive breath alcohol content in three of any twelve consecutive reporting periods, the department shall extend the interlock restriction on the person’s license for an additional twelve months after the expiration of the existing interlock restriction. The department shall notify the person that the ignition interlock restriction is being extended and that his or her license shall be suspended unless the person enters into a new signed lease agreement for the use of an approved ignition interlock device for the extended period. The person is entitled to a hearing on the extension of the restriction. Based upon findings at the hearing, including aggravating and mitigating factors, the hearing officer may sustain the extension, rescind the extension, or reduce the period of extension. (8) Rules. The department may promulgate rules to implement the provisions of this section. (9) Approved ignition interlock device definition – rules. (a) For the purposes of this section, “approved ignition interlock device” means a device approved by the department of public health and environment that is installed in a motor vehicle and that measures the breath alcohol content of the driver before a vehicle is started and that periodically requires additional breath samples during vehicle operation. The device may not allow a motor vehicle to be started or to continue normal operation if the device measures an alcohol level above the level established by the department of public health and environment. (10) Operating vehicle after circumventing interlock device. (a) A person whose privilege to drive is restricted to the operation of a motor vehicle equipped with an approved ignition interlock device and who operates a motor vehicle other than a motor vehicle equipped with an approved ignition interlock device or who circumvents or attempts to circumvent the proper use of an approved ignition interlock device commits a class 1 traffic misdemeanor. (b) If a peace officer issues a citation pursuant to paragraph (a) of this subsection (10), the peace officer shall immediately confiscate the offending driver’s license, shall file an incident report on a form provided by the department, and shall not permit the driver to continue to operate the motor vehicle. (c) A court shall not accept a plea of guilty to another offense from a person charged with a violation of paragraph (a) of this subsection (10); except that the court may accept a plea of guilty to another offense upon a good-faith representation by the prosecuting attorney that the attorney could not establish a prima facie case if the defendant were brought to trial on the offense. (11) Tampering with an approved ignition interlock device. (a) A person shall not intercept, bypass, or interfere with or aid any other person in intercepting, bypassing, or interfering with an approved ignition interlock device for the purpose of preventing or hindering the lawful operation or purpose of the approved ignition interlock device required under this section. (b) A person whose privilege to drive is restricted to the operation of a motor vehicle equipped with an approved ignition interlock device shall not drive a motor vehicle in which an approved ignition interlock device is installed pursuant to this section if the person knows that any person has intercepted, bypassed, or interfered with the approved ignition interlock device. (c) A person violating any provision of this subsection (11) commits a class 1 misdemeanor and shall be punished as provided in section 18-1.3-501, C.R.S. If you have questions about Colorado Interlock Devices in the Denver metropolitan area and throughout Colorado, attorney H. Michael Steinberg will be pleased to answer those questions and to provides quality legal representation to those charged in Colorado adult and juvenile criminal matters.